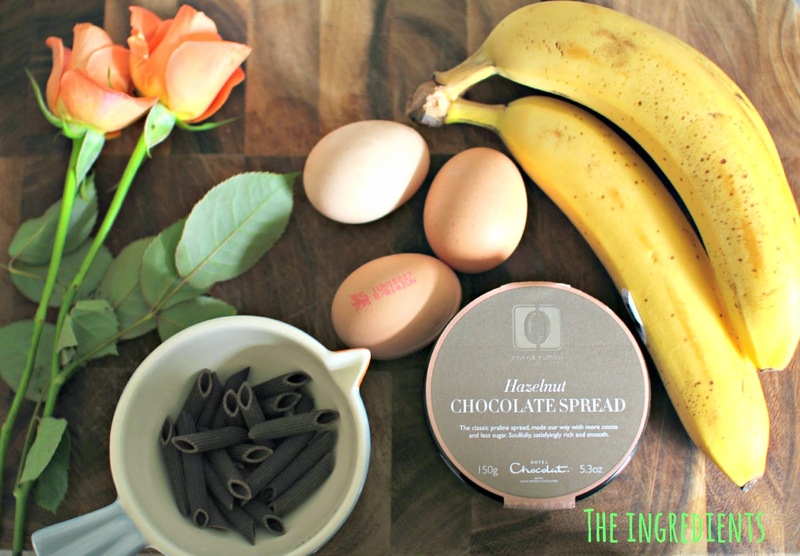 We recently got sent these two products from hotel Chocolat (we are big lovers of hotlel chocolat we were over the moon), Hazlenut Chocolate spread and some Cocoa pasta. I really wasnt sure what to do with them, the pasta somehow felt a bit foreign to me so I decided to make something that my family would love Pancakes. 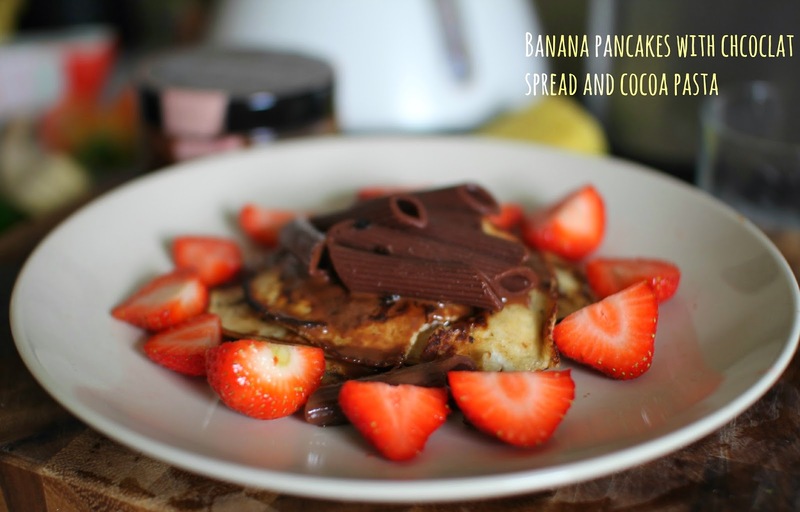 Not just any old pancakes two ingredient pancakes using just eggs and bananas, topped of with our hotel chocolat goodies. Eat lots as the banana's are good for you! The pancakes went down a treat with my family, the great thing being they were not that unhealthy and a way to sneak fruit into my sons diet without him knowing. The left over pasta I had I used for my toddlers lunch in which she ate like it was going out of fashion. You can purchase many food items other than just chocolates at hotel chocolat, they also have a beautiful cookbook full of lots of luxury items (makes me drool thinking about them). The Chocolate spread retails at £6.50 a bit more pricey than nutella but so so more nicer. Having it on toast is like something else. The pasta is only £5:50 a reasonable price a perfect gift for those food lovers or even for a bit of luxury at home. Find out more on the hotel Chocolat website. 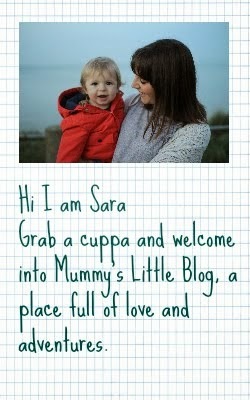 Oh what a great idea - thank you my son loves pancakes atm and would be good to slip bananas into them. I love Hotel Chocolat but have never tried the more foodie range. It looks great! Oh wow I didn't know that Hotel Chocolat do a Hazelnut Spread. I'll have to hunt that one down! 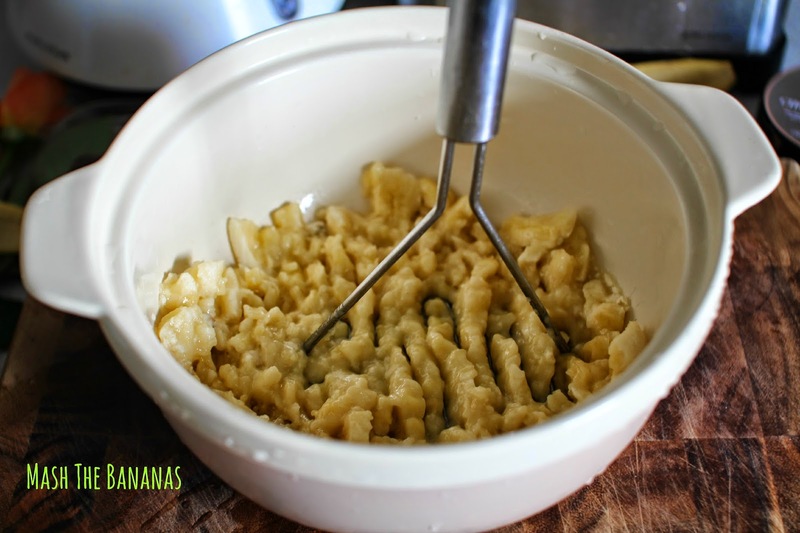 I had no idea you could make pancakes with just eggs & banana - very intrigued!